Power wringer removes more water, allowing fibers to dry faster. Microfiber GRIPSTRIPS ™ lift 20% more stubborn dirt. Works great on all hard floor surfaces. Machine washable up to 50 times. 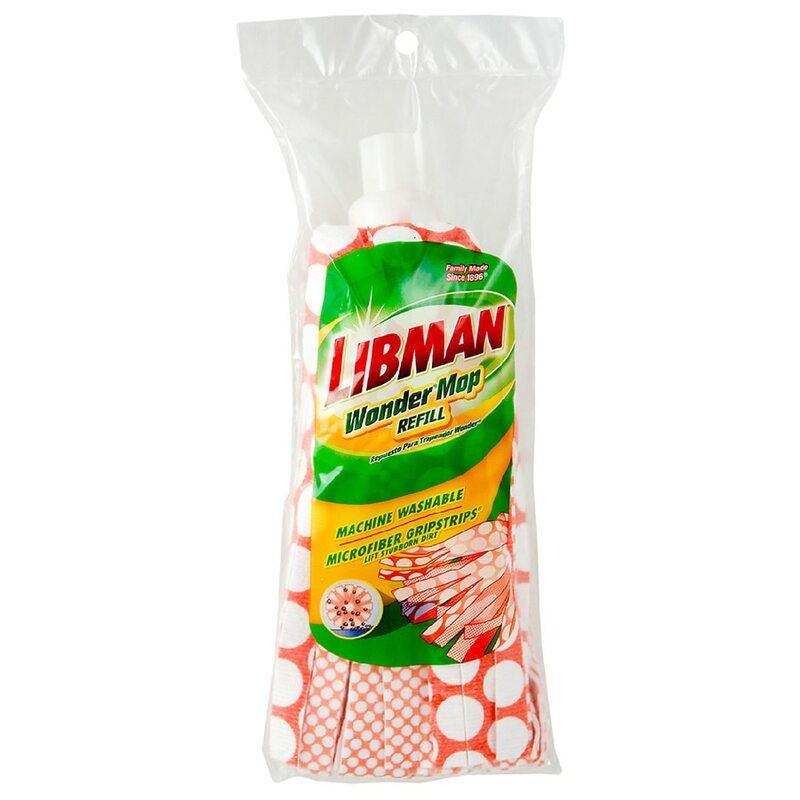 Libman isn't just a company, it's our family name. We take personal pride in our products and stand behind them. That's why we have been the cleaning experts since 1896. If you're not completely satisfied, please call 877-818-3380. Machine or hand wash in warm, sudsy water and hang to dry..